Stoneham is located in Middlesex County, about nine miles north of downtown Boston. Its population was 21,437 at the 2010 census, and its proximity to highways and public transportation offer convenient access to Boston and the North Shore region and beaches of Massachusetts. The town is the birthplace of Olympic figure-skating medalist Nancy Kerrigan, Writer Josh Gondelman, and has been home to the Stone Zoo since 1905. Stoneham is inside the Route 128 belt and is considered part of metropolitan Boston. 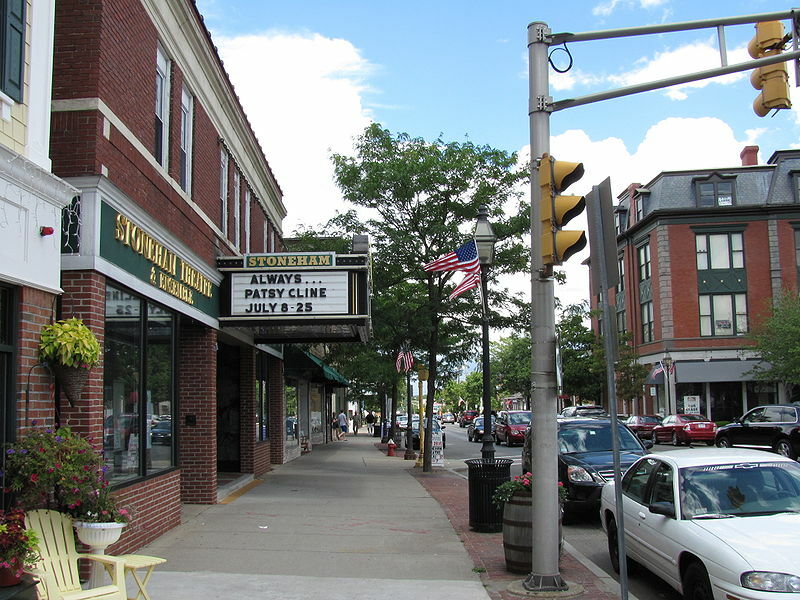 Public transportation is available in neighboring towns to Stoneham. The Oak Grove subway station is just under 4 miles from Stoneham Center, in Malden, and is the last northern stop on the MBTA's Orange Line. There are commuter rail stations in the bordering communities of Melrose, Winchester, Wakefield, Reading, Medford, Woburn and Malden, each with services to Boston's North Station. There is an MBTA bus line that runs through Stoneham Center that services rail stations as well. Route 93 passes through Stoneham, and Route 128/Interstate 95 passes just to the north of the town. Stoneham is also home to Spot Pond, part of the Middlesex Fells Reservation. The reservation has over 100 miles of trails for hikers, mountain biking, cross-country skiing, and also horseback riding. Trailheads are accessible from Route 93 at exits 33 and 34, and 35 on the Southbound side. Fishing is allowed on Dark Hollow Pond. Other attractions include areas to picknick, an observation tower, and a tot lot. On offer are sailing lessons and rentals of kayaks, canoes, pedal boats and row boats on Spot Pond during summer months. Rock climbing is also very popular in the Fells Reservation. GMRE has made my life simple every year when my apartments become available by getting me fair market value and keeping move in day as simple as efficient as possible!